How you dress will probably depend upon the weather, location, people involved and your planned activities. Do you expect to encounter warm or cold weather? Rain? Snow? Sunshine? Will you dine in a home? Go to a restaurant? Banquet hall? Church? Outreach center? Do you plan to join family? Friends? In-laws? Potential in-laws? Will you be indoors the entire time? Outdoors at all? Any games? Will you bring small children making dressier clothes a challenge? Think baby spitting up. As you can see, many factors can modify your choice of clothes. 1. For Thanksgiving (in a colder climate) spent with family or close friends in a more casual setting, you can do well with a sweater pulled over a nice dress shirt paired with dark blue straight leg jeans and classic sneakers. Throw in a scarf for good measure. 2. For the next level up, somewhere between casual and formal, switch it up by wearing gray dress slacks along with a well-pressed dress shirt (with or without a sweater pulled over it). Pair it with a stylish loafer or oxford shoe. Note: For those future in-laws, ask your fiancé or girlfriend about the gathering first and plan accordingly. Does her family dress up or down for the big day? Do they hold a traditional football game in the backyard? Do they enjoy hay rides or any other outdoor activity? 3. For a more dressy church or business Thanksgiving banquet, wear a dark grey suit. No themed ties. If you need to dress it down a bit, wear slacks w/ a sport coat and no tie. Posted on November 27, 2013 by Jerry Folly-Kossi. Today your dedicated Custom Clothiers sit down with San Francisco's truly own, Barber Walter’s. 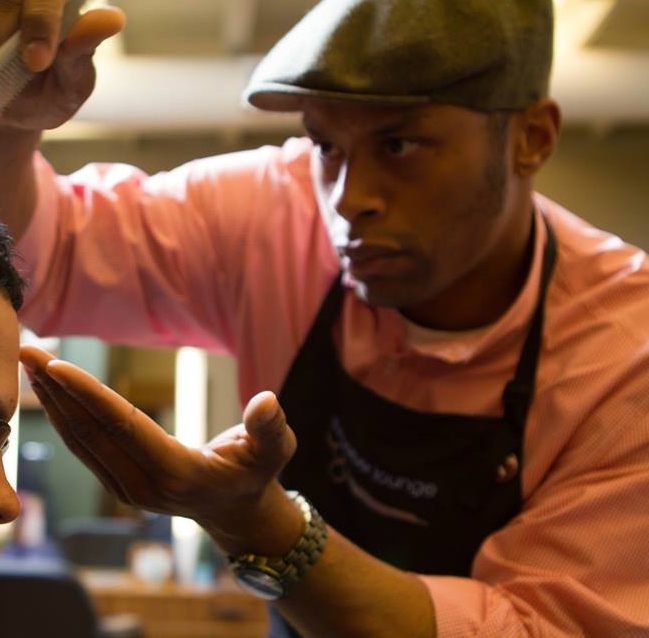 If you are in the know when it comes to impeccable men grooming, you've certainly heard of his prowess, if not do not wait a second longer and make sure to stop by the Barber Lounge. Enjoy! My name is Walter Bishop-Jones but my industry moniker is Barber Walter's. I've had the pleasure of being a Barber for over 10 years. I also teach advanced Barbering techniques at the Cinta AVEDA Institute. How did you get the idea for starting your business and what would you say makes it stand out in the men grooming industry? I've always wanted to do men's styling but it wasn't until after going to University of the Pacific that I made my dream a reality. I feel that my attention to detail and impeccable customer service are what differentiates myself from other Barbers in the industry. In my opinion, effort trumps skill. You can teach skill but a sincere desire to please cannot be taught. I also pride myself in my ability to cut ANY type of hair and banter that spans topics other than sports & popular culture. We know you to be a man of great style. When it comes to combining your everyday outfits, where do you draw your inspiration from? First, thank you for the compliment! I try to keep a professional yet unaffected style. 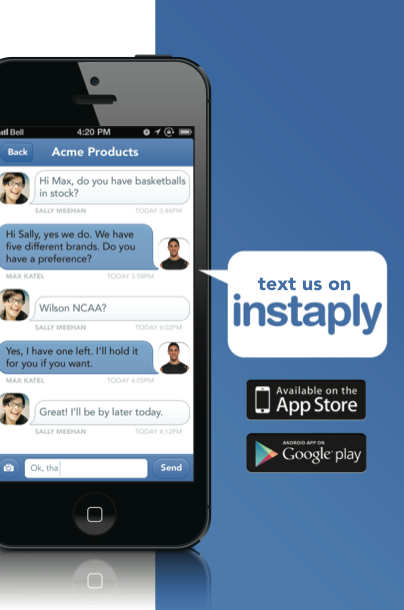 It's easy in our industry to get unduly wrapped up in trends. I try to avoid this by staying true to the classics whilst keeping a keen eye on the contemporary. If I could wrap my ethos up in one word it'd definitely be comfort. Do you have a celebrity or 2 (two), you think epitomizes the sharp dresser? Well we all stand on the shoulders of the great men who came before us. This goes for philosophy, art, music AND style. So that being said, Miles Davis for his unbridled cool and Steve McQueen for his mastery of the seemingly mundane. What is your favorite accessory and why? I'd have to say my favorite accessory would have to be a nice pair of socks. Usually unseen, a quick glimpse of them points to one's individual style and we all know nothing's better than a fresh, new pair. Have you ever used custom tailoring services and what is your take on Swell Attitude’s approach? Unfortunately, I have difficulty in finding clothes off the rack that fit correctly. The gentleman at Swell Attitude take an approach to Tailoring that is rarely seen outside of Savile Row. They've honed their craft to a high art and it shows in their work. 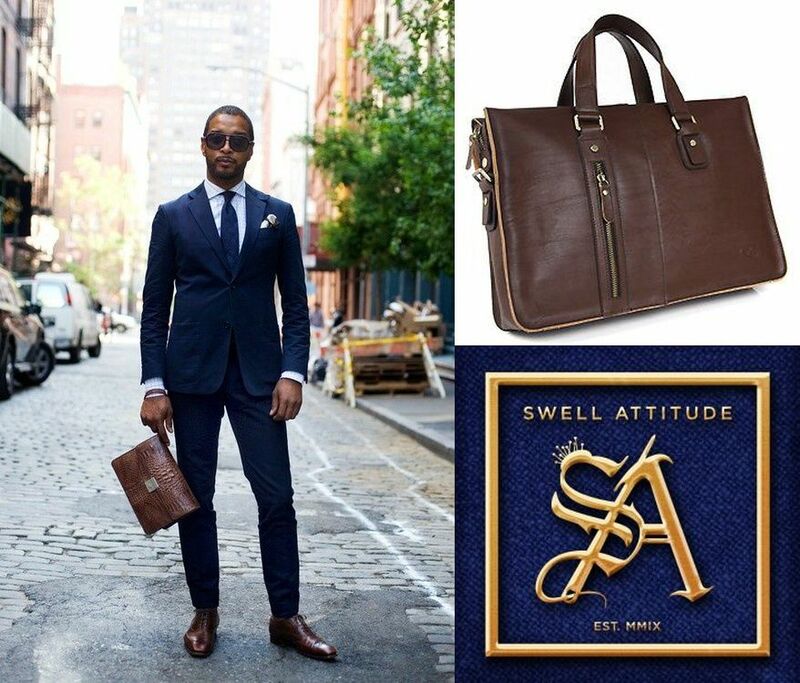 At Swell Attitude, we believe that the way a gentleman dresses is an extension of his personality. Could the same be said of hair and facial hair styling? Totally! As men we don't wear makeup so a full beard, Van Dyke, Goatee or even a neatly trimmed mustache are ways to add “paint” to an otherwise blank “canvas”. The same can be said about style and/or cut choices. Can you imagine Salvador Dali without his quircky 'stache or Andy Warhol without his grey wig? Neither can I. Where can our readers find you and experience first-hand your magic touch? 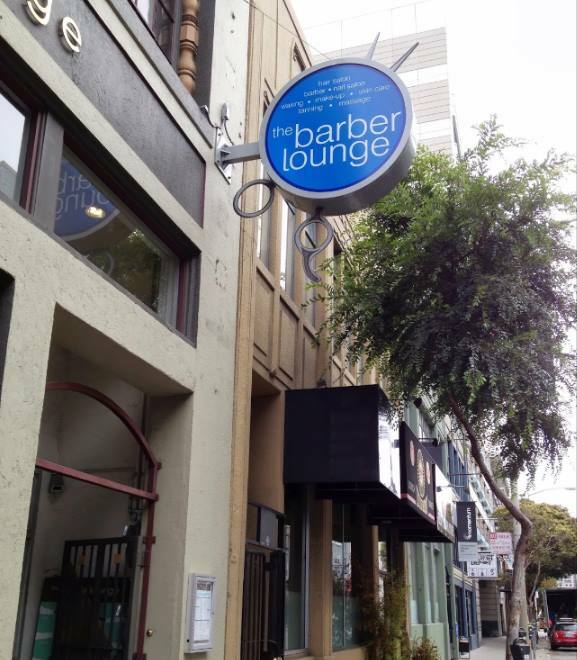 You can find me in SOMA at the Barber Lounge or as a travelling coiffure with Barber Walter's Mobile Service at your home, office or event 7 days a week! Last one! A) Fill in the blank: Fashion is... esoteric. B) Fill in the blank: A Gentleman is... a rare breed. Posted on October 9, 2013 by Jerry Folly-Kossi. This week your Fashion Therapists had the pleasure to interview Black Sparrow, a true aesthete and connoisseur. He is the definition of eclecticism when it comes to clothing and music style. Black Sparrows answers all our questions and pleases our ears with a custom-mixed track for all of you Swell readers. Ps: Don't forget to hit "Play" at the end of the interview and enjoy those Swell notes without moderation! Please introduce yourself to our readers. Who is Black Sparrow? Just someone who enjoys good music and loves to share it. How would you define your musical style? Eclectic! I like to play “groovy” stuff - from old school to new school – and nothing “mainstream”. I do believe that you can have a good party without listening to “crap” (oops sorry!) which is what is mostly played on the radio and TV all day long! I love to discover new tracks and introduce them to people. The coolest thing for me is definitely when someone comes up to me and asks me for the title of track I’m playing with a big smile on their face. Where do you draw your inspiration when it comes to the art of mixing? To me, the most difficult thing is to grab the attention of the audience; once it’s done with a couple of good tracks, it’s “Rock on”! I like to have fun while spinning and constantly check out the crowd’s reaction. Once their “Chakras” are open, it can go from Electro music to Hip-Hop, to good ol’ rock tracks from the 60’s-70’s. I try to spin without any pretentiousness and enjoy the moment. If the crowd feels it as well, then I did my job! What was your latest gig and where can the crowd have the pleasure to hear you (and shake their hips to your beats!) on a regular basis? My last gig was at Le Scarlett (Saint-Germain-des-Prés neighborhood of Paris, France). I play there once a month but I’m still in the hunt for a nice and cozy cocktail bar where I could spin some good old funk/disco beats on a more regular basis. Though everybody is now dancing to Electro music, I feel like sometimes, it’s good to come back to the basics. We know for a fact that you take a great pleasure to combine your everyday outfits! Like the Fashion Therapists at Swell Attitude, do you think that Style Does Matter? Let me think…. Hell yeah! You don’t need to spend thousands of Euros/Dollars to have style. It is often simply a matter of taste and creativity to mix and match the clothes you already have. I grab my inspiration from the street, movies, and magazines. When I see someone, I’ll be acting like a Robocop (LOL), scanning him/her from head to toe… But shhhh! That’s my little secret! Would you say that your sartorial tastes are somehow in synch with your musical ones? Yep! Something cool, not too cheesy, not too mainstream, sometimes chic, sometimes groovy. Are Parisians as stylish and fashionable as the reputation they have gained for decades in the US? Some are and some are really…not! We also know that you are a professional photographer with a keen eye for details. Do you have a favorite fashion accessory? A fashion accessory? My hat! Now that the hot days are (finally!) hitting Paris, what would be your pick for, let’s say, a warm summer night elegant gathering? Roof-top at La Cité de la Mode: “Le Nuba”, a well-spaced terrace where you can enjoy good music while having a drink and dance with friends until the sun rises. This spot opened only a couple of weeks ago. As you are a man of many hats, what is your latest purchase in these 3 categories: photography gear? Music equipment? Clothing? - Photography: An old Kodak Instamatic from 1969 for my camera collection. - Music: Custom made ear-plug with an attenuation of -25dB. When I go to clubs, I’m usually in front of the DJ or in the DJ booth. I need to protect my ears while enjoying the party. B) A Gentleman is... a question of attitude! Now click "Play" and get your groove on with a special mix dedicated to Swell Attitude! Posted on June 22, 2013 by Jerry Folly-Kossi. My name is Unyime Akpanudosen, 22 years of age and founder of LA-based men's lifestyle website, Venture & Virtue. How did you get the idea for starting your blog & business? I wouldn't say it was an idea so much as an evolution. It began simply as a way for me to humbly share daily looks as a means to inspire as well as explore personal style. As the years past along with various shifts in focus I discovered one could share a style as well as an experience. I wanted to focus more on the experiences. My blog re-launched late 2012 as Venture & Virtue and the name means exactly what my journey is about. When it comes to combining your everyday outfits, where do you draw your inspiration from? I pull inspiration from a love for all things retro. For the Twitter crowd I like to refer to it as #retrolife and it goes further than style and into one's everyday life as well. I appreciate antique furnishings as well as vintage clothing. Inspiration also comes from my Nigerian culture as well, so there may be a subtle infusion of African prints or fabrics from time to time. Which celebrity you think epitomizes the sharp dresser? There are several of course, but at the moment I humbly see the likes of the Yasiin Bey to be one of the archetypes for the urban classic movement. I'm particularly into patinae footwear at the moment. I'll also reach for eyeglasses and watches, but regardless of what it is, the more patina it carries, the better. What is your latest purchase and where did you wear it? My latest sartorial purchase was a vintage GANT spread collar dress shirt and it's such a recent purchase it actually hasn't arrived yet. For an elegant gathering, would you opt for a single or double-breasted jacket? Both are great but you can't go wrong with a closely tailored double-breasted jacket. I do have a tailor I visit regularly who does a fine job though honestly like most men in their early 20's, because of cost, haven't yet tried a bespoke approach. From first glance I humbly believe SA is doing very well with the take on classic suiting. "Because style does matter" is true to an extent, I appreciate that. Lastly, I see several jackets in the SA arsenal with ticket pockets which look to be making a comeback. A) Fill in the blank: Fashion is ever-changing. B) Fill in the blank: A Gentleman is more than a well-mannered appearance. Posted on March 19, 2013 by Jerry Folly-Kossi. Girls’ nights out never get old. They are a perfect excuse to dress up, sip on Martinis and talk about... you guessed it right - our favorite subject - men! Through my countless nights out with the girls, I've seen all sorts of men - from relentless hunters to spiffy butterflies and conspicuous showoffs. Men just have an innate need to impress women. From endless fun topics on this subject, I picked one that I think is really interesting to share: pick-up lines and starting conversations. Gents, here is what really works in your favor when approaching a woman. Taking time to really observe a woman can give you many clues about her. You may notice little details in her outfit, accessories, shoes, etc., as well as her personality. Sip on your drink and observe her from afar, giving her occasional looks, so that she understands you've noticed her. Once the eye contact is established, she will probably fix her posture and start playing with her hair. When that happens, make your move! Women need to feel they are special, admired...and ultimately desired. If you do want to give a compliment on her appearance, let it be be an honest one and about something non-obvious. There are few more original ways to break the ice, though. What I love the most is the idea of a guy who almost ignores the fact that the woman he is talking to is attractive and starts talking to her as if they knew each other. It is obvious you are interested if you come to talk to someone, so make an effort to distinguish yourself from your competition! Worst conversation starters (according to my experience): "What are you drinking? "; "Where are you from? "; "Are you ... (Russian)? "; "Hey beautiful!" I respect men who understand when it's time to leave. Let's say you are flying solo and had an idea to interrupt a conversation between friends (not so uncommon). If you see that both of them are dying to come back to it (remember, body language! ), you should smile and wish them a good evening. If you managed to get them interested in a discussion, good for you. I think many men don't know when it's time to leave. There is nothing more attractive than a man who looks comfortable in his own skin. Way too often I've seen men who are trying to impress women by dropping facts about their career, position, achievements, giving clues about their lifestyle, where they live, who they know, etc. Of course, it all depends on what you want, but if you want to attract a woman that has the right values, don't mention any of those things in your first conversation. Posted on March 1, 2013 by Jerry Folly-Kossi. Like the classy studs of the past, many men of today use a pochette for that finishing touch. I, myself, am a big fan of those squared pieces of fabric, as I believe they definitely add a small dose of fun, class, and even gallantry to one’s image. It is important to point that it’s not enough to just stuff a pocket square into your shirt or coat; each occasion calls for a distinct folding method. This attention to detail is essential and reveals how acute your understanding of the concept is. Two- and three points pocket squares, when worn during business events, generally convey a message of authority. Avoiding coming off as pretentious, I wouldn’t use this folding method unless you are one of the big shots or otherwise seasoned enough to claim seniority within the group. For weddings, black tie events, and other such glamorous occasions, however, it’s fair game. There are 15 to 20 well-known folding methods. When deciding which folding method is appropriate, use the following as a guideline: point(s) is appropriate for business and formal ceremonies, whereas flats and puffs are geared for more relaxed and informal occasions. Here is a link that will help you choose the appropriate folding method! Posted on February 28, 2013 by Jerry Folly-Kossi. What is it that men fear so much about wearing pink? a) You’ve certainly heard how important it is to pick shirts and suits that go well with your skin tone, etc. Well, that rule is moot when we’re talking about pink. It is indeed the only color that goes well with every single skin tone. Don’t get me wrong, a shiny bright pink might be hard to pull off, but any shade of pale pink is definitely game. b) To go along with point (a), a nice pink shirt goes well with any pair of pants. Black, navy blue, gray, green, brown….you name it and it goes with pink! c) We all know women love pink. Whether you are talking flowers, teddy bears, accessories, or what have you they just adore it. It is a reminder of freshness, purity, good times… and who knows; one day you might make the list! Posted on February 27, 2013 by Jerry Folly-Kossi. Color - If any time is a good time to utilize different colors, it definitely is in spring. Incorporate lighter colors, such as lavender, mint, and even pink. If you're afraid of looking like cotton candy, keep it simple and limit it to the pocket square or tie. The key thing is subtlety. The sun is out, so brighten up your style. Floral - Spring springs flowers. Floral isn't just for the Swell woman anymore. Liven up a suit with a floral tie or shirt, and make the office a happier place. The pocket square is essential all year round, but spring is definitely its favorite season. Attention to detail is key for our beloved pocket square, as brighter colors and patterns are highlighted in the sun. So, don't forget to fill your pockets! As for a hat, with the sun beating down harder, it can help block the hurtful rays and can create a bolder look for you. Bust out the Panama hat and be bold with that brim. Last but not least: Experiment & Have FUN! The most important tip that Swell can offer is to have fun. Have fun with your style by experimenting with your own personal tastes. Don't just follow the trends, but follow your happiness. Posted on February 19, 2013 by Jerry Folly-Kossi. Instead of adding yet another black or dark grey suit to your collection, why not add a daring, colorful two or three piece ? If you go with this very bold move, you can be sure you will be noticed. Admiring looks you'll attract and compliments you'll get anywhere you go will make you understand the true meaning of a lucky charm. It is a risky business, but if you can pull it off - my hat's off to you! Here are some of my favorite examples of amazing looking colored suits. Posted on February 16, 2013 by Jerry Folly-Kossi. The fact that we are all coerced into celebrating Love on a specific day is already an issue in itself (that’s another debate on its own) but that most men are left out of the equations is simply troubling. Don’t get me wrong, there is definitely a great sense of joy that comes from showering the women you love with gifts but I assure you Mesdames, men also enjoy chocolate boxes, love cards and yes, teddy bears and flowers. That said fellas don’t get your hopes to high on this article and if you don’t want to hear it tomorrow evening, make sure you stop by the florist on your way home! Posted on February 13, 2013 by Jerry Folly-Kossi. Black, a simple color, and a staple within the fashion industry for years, has been highlighted, no pun intended, as the theme for many occasions. It has a reputation for representing sophistication, class, and, oddly, romance. But...why? Well, first of all, as with any article of clothing or accessory one chooses to don, it essentially looks plain good...on everyone. This is because black is slimming, hiding flaws in areas with which most people are concerned. Black prevents viewers' eyes to "jump", as would do with a patterned or blocked color outfit. Thus, black serves as a visually calming attribute to an outfit, and allows its wearer to appear slender and slim. Black, which is actually not considered a color, but an absence of, serves as a "neutral" foundation. It creates this blank slate upon which can be accessorized almost infinitely. Black looks good with many patterns and colors, providing as a sort of blank canvas. Hence, it is often associated as being "clean, classic, and chic". The most obvious attribute of black, darkness, creates a sense of mystery. As mentioned before, black is able to conceal, but it also serves to strengthen. The boldness of black allows focus to be brought upon the wearer. The classic black suit, for example, is a subdued visual image due to its simplicity, yet simultaneously bold as it makes apparent the presence of the Swell man who carries it in a room. This duality creates this sense of mystery, brewing viewers' urge to know who this man is, additionally creating a romantic game of hide and seek. Its simplicity has allowed it to remain an aesthetic necessity for many years. Fashion, constantly fluctuating with the ins and outs, hasn't been able to snub the seasonal, again no pun intended, effects of the classic black. Like with Swell Attitude's "Classy in Black" hosted at the CLIFT Hotel last Thursday, black has proven time and time again to be, well, timeless. Because of this apparent cause, black has been stamped as a staple, and with time working on its side, has been the iconic symbol of sophistication. Black has always been "in", and has so far had no reason to come back. I mean, once you go black..."
Written by Dino De Vera. Posted on February 11, 2013 by Jerry Folly-Kossi. What is a bigger turn off - ugly shoes or ugly underwear? Girls agreed that ugly shoes (and square shoes definitely lead in that category) can often be a first turn off factor, but that underwear is equally important. I started the conversation with this post in mind as I think that not enough attention has been given to men's underwear. Swell Attitude is all about the right fit, but what if underneath those swell pants, one finds what we decided to call - "parachute boxers"! I am sure you all know what I mean, and if not please refer to the image underneath. Most men pay very little attention to their underwear. Not that I want to make you paranoid, but picking the wrong kind can result in some unflattering conversations about your choices with her girlfriends the day after your hot date. Underwear is not only essential for good hygiene, but it is also an expression of one’s personal style. Good underwear should not bunch up underneath your clothes. It should give you good support, be well fitted to your body and look nice. I would suggest the stretch cotton fabric that will feel soft against your skin. 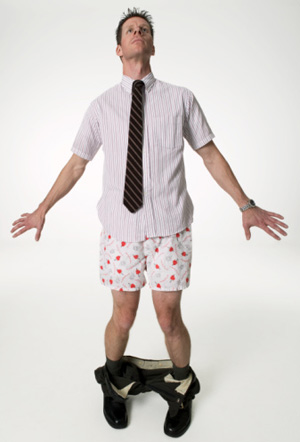 Whether it is briefs or boxers "no air in your underwear" - ladies said. The absolute favorite was David Beckham's Briefs and Boxers for H&M. Go figure! Posted on February 8, 2013 by Jerry Folly-Kossi. When you see a Swell man, it is apparent. The suit is fitted. The style is eye-catching. The accessories are on point. The overall look is as effortless as his smooth glide through the door. BUT, is what you see truly the key to being swell? Yes, first impressions are important, but the commanding presence of a swell gentleman deserves closer examination. Past the gleaming cuff links & finely placed hair lies the fundamental basis of a swell individual. 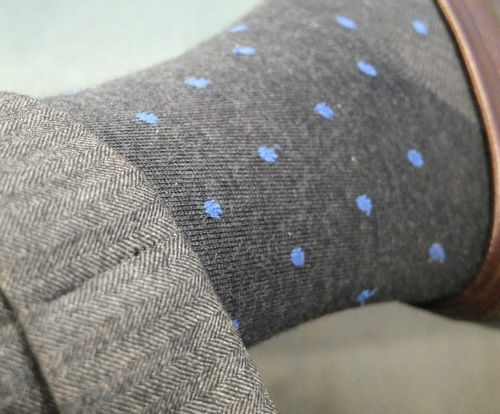 It is not something that is cuffed, tapered, or polka-dotted. It is not knotted, striped, or tucked. It is appreciated, admired, and respected. Essentially, it is what every living thing holds: soul. A gentleman’s soul, his irreplaceable energetic existence, is the root of all things swell. 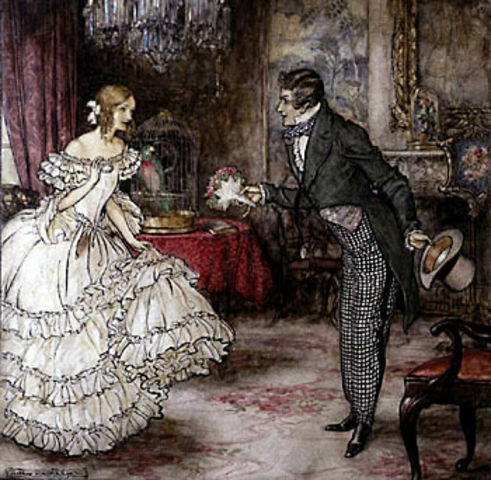 When you see a swell gentleman open a door for those behind him or see him smile at a passerby, the accompanying feeling is what completes the experience of being in the presence of a swell gentleman. Without soul, without a positive & confident inner strength, and without amicable intent, a visually impeccable suit is almost nothing. See, his attitude and soul is deeply correlated to the overall presentation of his aesthetic look. If he feels good and tries to do good in the world, that very mindset is reflected in both his personal style and overall, “swell” aura. Thus, with style, also comes perspective, tying together both bowties and being. Fundamentally, being swell starts from the inside out. So before you tighten that tie and button that vest, make sure your most essential custom-made piece is finely fit. Posted on January 29, 2013 by Jerry Folly-Kossi and tagged Custom Made Suits & Shirts - San Francisco. 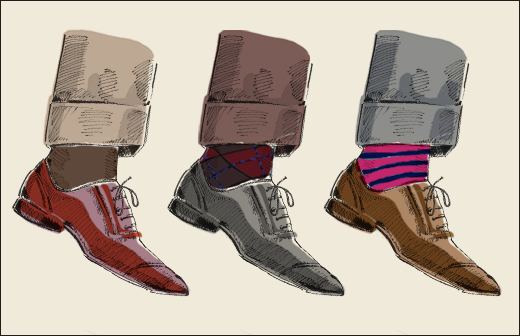 One of the first things people notice about a person’s attire is their shoes. Unfortunately, this is a fact many men fail to address. Your shoes, more than anything else you are sporting, reveal the thoughtfulness behind your ensemble. Undoubtedly the most important accessory, your shoes help communicate what type of person you are. If your shoes are dirty, old, or worn out, you risk appearing negligent and sloppy. Alternatively, shoes bright with color say fun and playful! But don’t go overboard. Shiny, squeaky clean, and spotless, while not terrible in and of themselves, may scream pretentious and unapproachable. Like everything else in fashion, it’s a fine line. Regardless of the veracity of these games of association, it’s important to pay a little more attention to your kicks!